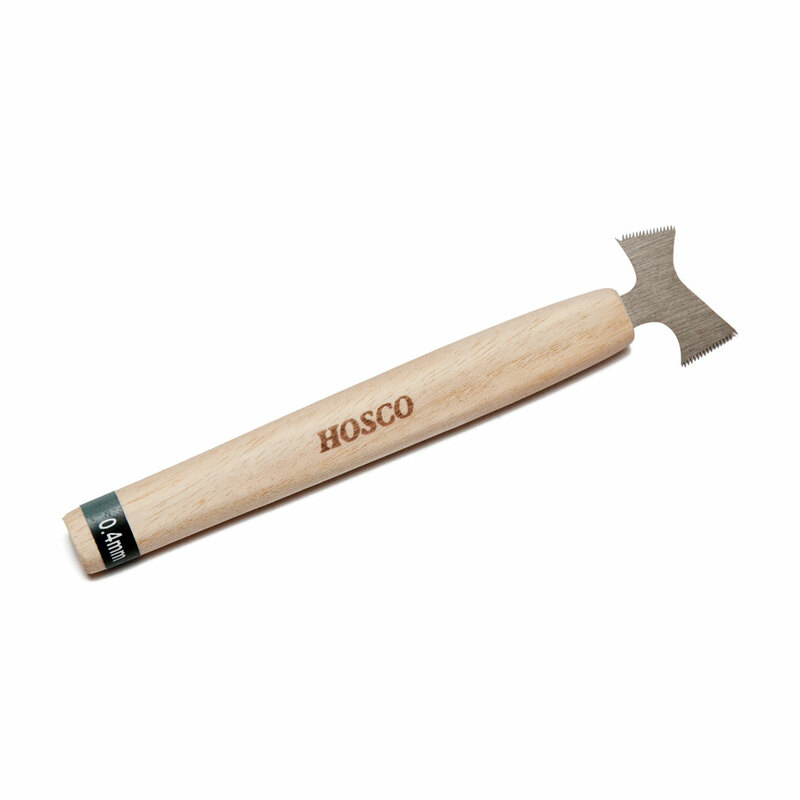 Hosco's fret slot cleaning saw is great for removing old glue or wood chips from slots meaning you can ensure frets seat properly during installation. It has a specially shaped blade with two cutting edges, one edge cuts on the push stroke, the other blade cuts on the pull stroke, meaning you can get right up to each end of the fret slot, even if binding is installed, to clean it out. The blade has a thin 0.4 mm kerf to ensure it can still fit the slots of instruments with the smallest fretwire (mandolins ukuleles etc. ).